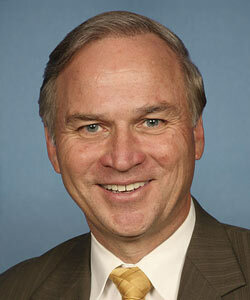 In response, the Republican sponsor of the resolution, Congressman Randy Forbes of Virginia, noted Obama’s earlier misstatement about “E Pluribus Unum” and pointed out that those words had been engraved in the new Capitol Visitors Center until Congress ordered use of the proper inscription. 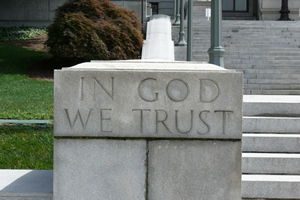 Forbes’ resolution supports and encourages the display of the words “In God We Trust” in all public schools and government buildings. It was approved overwhelmingly, 396 to 9, with two abstentions.